You can't miss Ampersand on Crown. 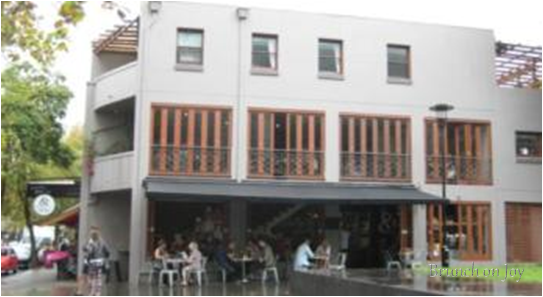 Nestled between the popular Crown St brunch spots it takes up a whole corner opposite the library meaning plenty of outdoor seating and suitable for pets and kids. Inside, the downstairs is nice and cosy and upstairs you could really get comfortable and turn brunch into a long affair. The simplicity of the breakfast menu didn't make it easy for me to choose with all the classics and a variety of juice options including breakfast cocktails. Maybe I needed my caffeine fix or was I torn between too many goodies... Corn fritter stack? Mediterranean? Smoked salmon? To my surprise I chose neither, trying out the Ampersandian $16.00) with the hope of an interesting signature dish to write home about. If the plate was a powerpoint presentation slide, it got a perfect score for white space to content ratio but content... boring. The hash brown looked like it was straight from the supermarket freezer and I got button mushrooms that were barely there. 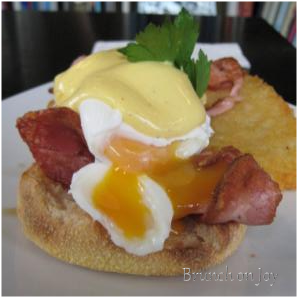 Value for money - the eggs benedict ($13.50) was classically made with crispy edge bacon and perfectly oozing poached eggs. 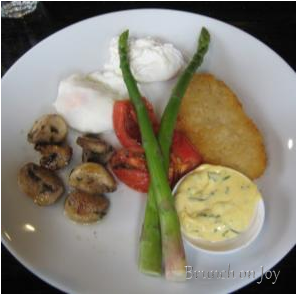 The hollandaise was a little like egg mayonnaise. My coffee ($3.50) came out with a plastic spoon and a half hearted attempt of the chocolate ampersand trademark. Hmmm, where was the love? Luckily the coffee was good. 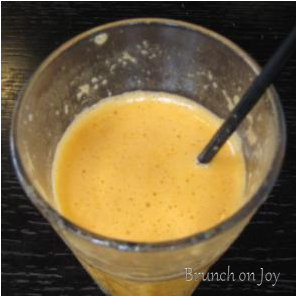 Juices ($5.90) were made to order and to my delight was fresh, frothy and yummy. The mixed berry frappe ($6.00) was thick and oh so sour, the berries may not have been very ripe. 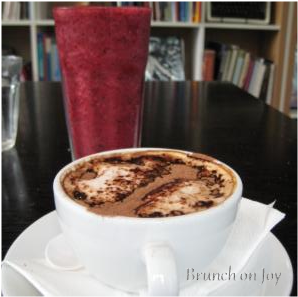 Trying to satisfy coffee lovers, fixing culinary delights and book worms all in one, this place has potential. Surrounded by books, old school typewriters, eclectic chairs and a mishmash of dining, coffee and communal tables the upstairs is bathed in natural light providing a homely feel to a pretty cool library, bookstore cafe.